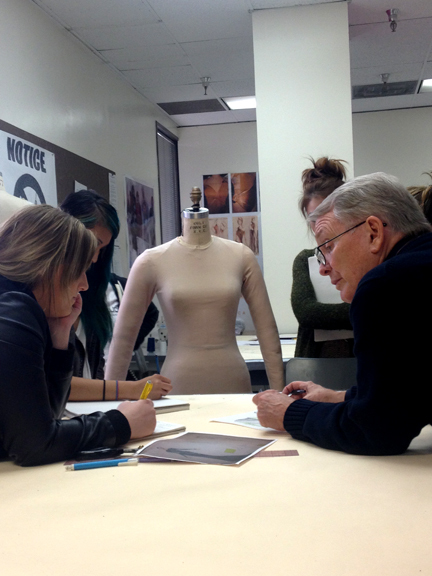 The amazing Bob Mackie stopped by Otis Fashion this week to have a one on one with students about their designs. 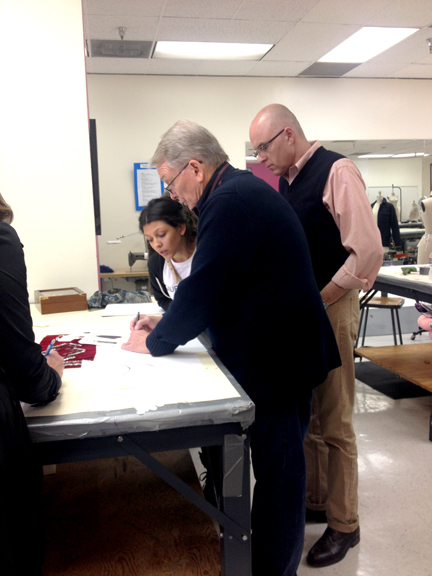 Mr. Mackie was so helpful with each design by guiding us on how to approach each dress in its own way. It’s incredible how much you can learn from Bob Mackie, not to mention how special it was for him to take time out of his busy schedule and dedicate it to us students. I couldn’t more happy to be on this mentor project! Here are photos of Mr. Mackie in our studio class.